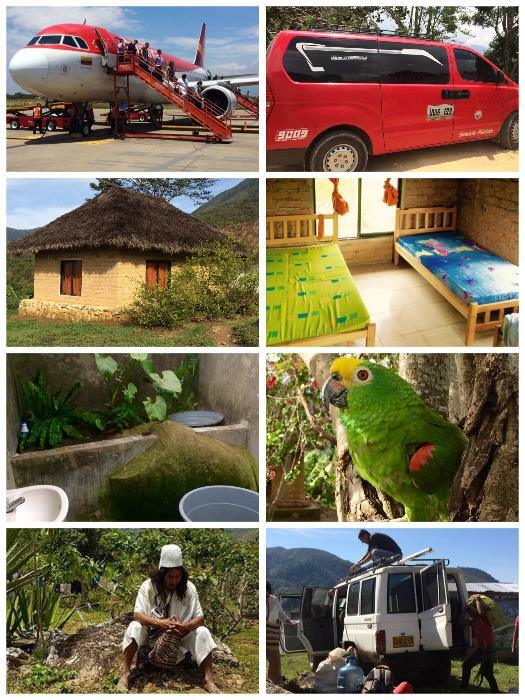 Our spiritual journey will begin on Friday September 1st when we fly to Valledupar. This city is about 1 1/2 hour flight from Bogota with Avianca. A modern Van will transport us to another village, Pueblo Bello, located at the entrance of the Sierra Nevada. Here we'll have a break and meet with our Arhuancan guide and translator. Then we'll continue our journey with a stronger SUV, more equipped for the rocky road driving us higher into the mountains, all the way up to Busintana, our destination. It will take approximately 5 hours to get there. ​The accommodation is very basic. Single beds, 5-6 beds in one cottage. It feels like camping. Little or no electricity, so after sunset use your flashlight. Bathroom facilities are available but also very basic. We wake up just before or with sunrise and the Arhuacos will guide and teach us for 2 days. We'll have meetings with the Mamo, our spiritual guide. He will teach you how to live in harmony with yourself, respect nature others around you. ​This price includes what is described in detailed program. It does NOT include air fare, use of minibar or any other expenses that are for your own private benefit.